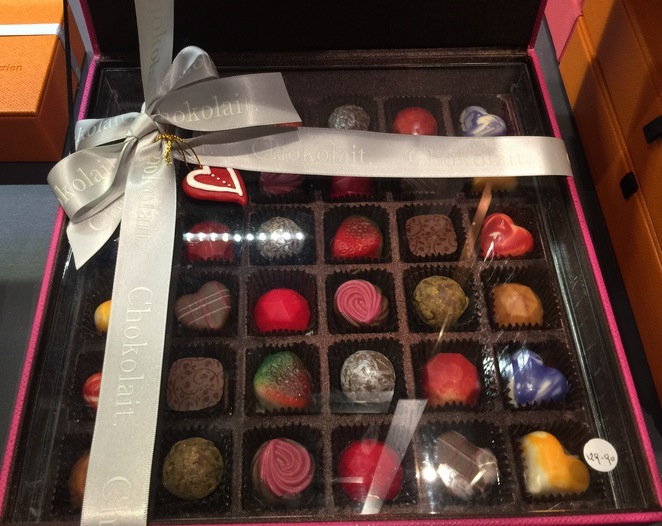 If I worked in a chocolate shop, I'm sure I would be grinning from ear to ear all day but when we visited Chokolait at Emporium Melbourne we were not welcomed as we entered the store, nor were we served at the tables despite my appealing looks to the waiter. Eventually, I went to the front desk to order. However the receptiveness was in stark contrast to the look of the place which is top end. This experience underlined how important the service is when dining out. We were treated to a chef's platter which included four different cakes and two flavours of ice cream. The food cannot be faulted. The Groupon deal was just $29 for two including a drink of choice and the platter. I thought this was exceptional value for the quality of food and the fact that my hot chocolate alone would otherwise have been $7.90. Normally I ask for a very strong and hot chocolate but figured in this cafe there would be no need. There were choices of dark and milk chocolate. Mine was certainly very dark, it was thick like it contained lots of melted chocolate with melted dark chocolate on top. This is the first time that I have been unable to finish my hot beverage because it was so rich. That's not a criticism of the hot chocolate, it's just to warn you that you have to really love dark chocolate to be able to manage the whole cup. For the adventurous, you can order a hot shot in milk or dark chocolate. Thick to drink is $9 or thick to eat $10! 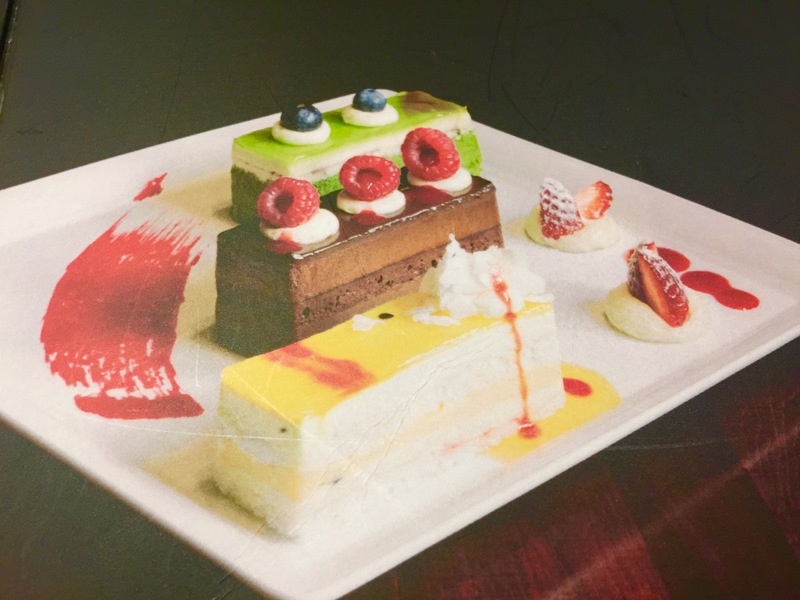 I'm guessing the platter can vary but I noticed; as was the same as the table next to us, which included a strawberry, mousse cake, chocolate mousse cake, mango cake and a coffee cake. We also had chocolate and vanilla ice cream. My favourites were the chocolate and mango cakes and my mum really loved the strawberry cake. This selection was presented beautifully with cream, strawberries and coulis. 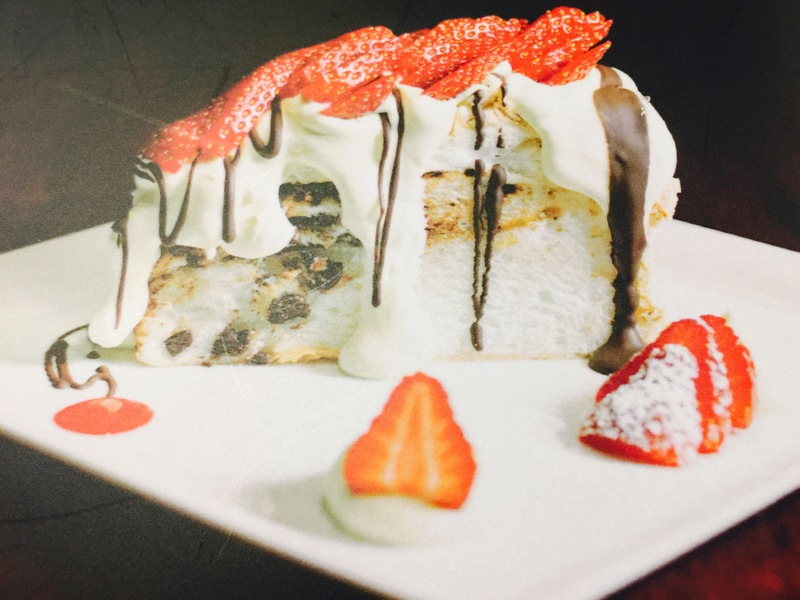 This is the divine cafe for people who have a sweet tooth. There are no savoury items on the menu. This reduces the need to feel guilty about not including savoury foods in your meal. The chef's tasting platter, when ordered off the menu, is $34.95, which includes four pieces of popular cakes, four of the most popular genuine Belgium homemade chocolates and raspberry sorbet. That's a slight variation on our platter. Chokolait's signature delights include pavlova $14.95 and sticky date pudding $13.95. Chocolate also sell handmade Belgian chocolates. Eight boxed chocolates are around $30 and a larger box around $60. They would make an impressive present. Ross and Marianna, the owners of Chokolait, claim that they are always trying to create new and exciting textures and flavours. Their artesian staff aims for perfection in visual presentation.